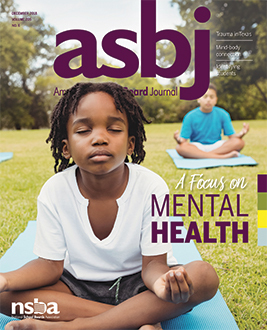 Mental health is the focus of our final issue of 2018. In “After It All Falls Apart,” writer Glenn Cook travels to Santa Fe, Texas, to find out how the schools and community are coping after experiencing the one-two punch of a natural disaster and school shooting. Robin Flanigan’s “Mind Body Connection” shows how schools are using relaxation techniques such as meditation and yoga to help with student anxiety and lack of focus. Associate Editor Michelle Healy looks at how schools identify children who need mental health services.